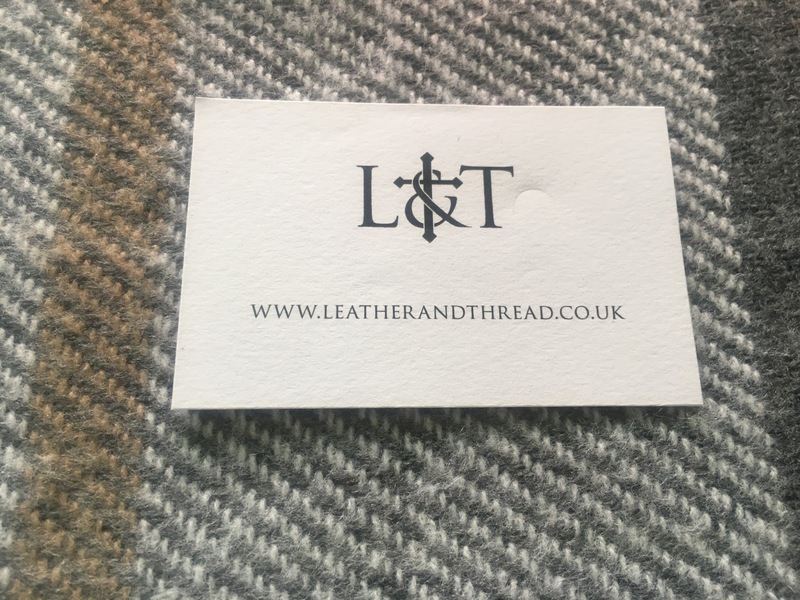 Leather & Thread is a beautiful company that creates handmade and functional products with high quality natural materials including vegetable tanned leather, waxen linen thread and natural beeswax. All of their items are 100% handmade in their workshop in UK, and they use wonderful traditional methods to create each and every product. They pride themselves on creating products that are unique, and that each one of their products has its own little story. This beautiful purse shown above is the Signo Purse in Black, and I absolutely love it! I think it is such a special accessory, and a wonderful gift for someone too. This purse has become my perfect little day purse because it's just the perfect size for my daily essentials. I tend to use it in situations when I don't want to lug about my large wallet and just need a few cards and some cash with me, for example if I'm just popping out for lunch, to the gym or on a night out too. The design is so simplistic which I love, and what makes it extra special is the fact that my initials 'LR' have been engraved into the back of it. I absolutely loved how the product arrived bound in beautiful packaging too as it was wrapped in brown packaging paper, tied together with thread and a leather label. The practicality and the quality of the purse is very impressive, and Leather & Thread guarantee that their products will last a lifetime - which is amazing! In addition their products aim to look even better with age as the material soften with use. It is evident that Leather & Thread are a passionate company with strong aims and beliefs which are recognisable through their products. The company clearly doesn't subscribe to mass production, and their items are crafted with traditional methods, in order to last a lifetime, consequently making a stand against a throwaway culture. I would certainly recommend that you check out Leather & Thread through their website below. Their entire collection is beautiful, and their passionate beliefs and philosophy are inspiring, and definitely make their products just that little bit more special!